Alibaba hasn’t even completed its U.S. initial public offering, but already it is striking out overseas. A $249 million stake in logistics group Singapore Post targets one area where the Chinese e-commerce group may be able to apply its talent. But the concrete benefits of the deal are unclear – besides focusing investors’ attention on the potential value of growth outside the People’s Republic. Alibaba doesn’t deliver the 11.3 billion orders that go through its sites, instead working with a network of 14 of the mainland’s biggest express shippers. Alibaba gives them information on everything from order volumes to warnings on bad weather to help parcels reach buyers more efficiently. It’s self-serving, since without timely delivery, shoppers might not come back to its Taobao and Tmall sites. But the model could win friends in other developing markets with fragmented shipping like Brazil. SingPost doesn’t obviously need such help, but for Alibaba, forging friendships in southeast Asia still makes sense. Local Chinese-speaking communities can already use existing websites, and the group wants to create local Taobao marketplaces in Singapore and Malaysia. The latter has a young population, two-thirds of which already has broadband access according to the National IT Council. Just 2 percent of Alibaba’s consumer retail revenue in the nine months ending December last year came from outside China. One question is why Alibaba needs to spend $249 million to cement the relationship. A recent deal with Australia Post didn’t include any mention of an equity purchase. As a national operator, SingPost cannot offer Alibaba preferential prices, and there’s also nothing to stop rivals like eBay, or even Chinese rival JD.com, from forging similar partnerships. 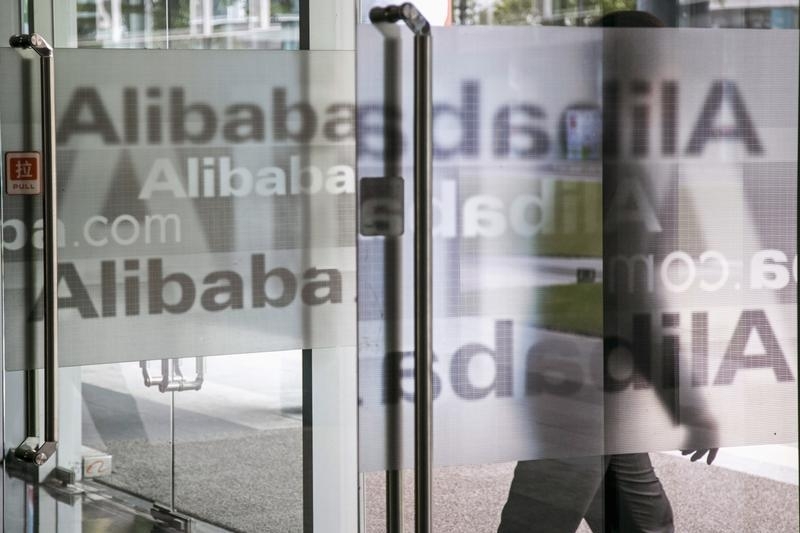 The answer may be that the deal has symbolism ahead of Alibaba’s stock market debut. Would-be investors are poring over its massive Taobao and Tmall sites, but might not be so focused on the option value from rolling out Alibaba’s network of buyers and sellers overseas. Tying up with SingPost might be have an expansionary effect not just on the company’s network but on its potential IPO valuation. A man walks out of a building at Alibaba's headquarters on the outskirts of Hangzhou, Zhejiang province April 23, 2014. China’s biggest e-commerce group Alibaba said on May 28 it would buy a 10.35 percent stake in Singapore Post for S$312.5 million ($249 million. Alibaba is buying 220.1 million shares of Singapore Post, comprising 190.1 million newly issued shares and 30 million existing shares. The deal will form part of a strategic collaboration between Alibaba and Singapore Post to improve cross-border deliveries. On May 26, Alibaba announced it signed a collaboration agreement with Australia Post to help Australian merchants sell products through its Tmall marketplace. Alibaba filed for an initial public offering in New York on May 6. The company did not say how much it hoped to raise. The company has agreed acquisitions worth almost $6 billion since the start of the year, according to its listing document. The group made $572 million in international revenue, meaning its business outside China, over the nine months ending December 2013, according to its filing. Most of those sales were from wholesaling. Revenue from its international consumer retail business was just $105 million over the same time period.